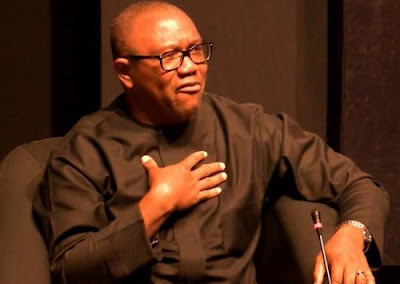 The vice-presidential candidate of the Peoples Democratic Party for the February 16 poll, Mr Peter Obi, has said Nigeria will collapse if Buhari is reelected. 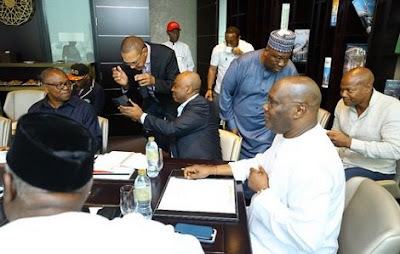 Obi stated this during a roadshow by the PDP in Awka, Anambra State, on Tuesday to seek support for its presidential candidate, Atiku Abubakar, ahead of the elelction. Obi lamented the growing unemployment in the country. The former Anambra State governor said, “We’re on a roadshow trying to send our message to Nigerians. We are telling them that the election is about the future of our children. “We are encouraged by our endorsement everywhere, not only in the South-East, because the people have seen the reality of the moment. “They have seen that the present government doesn’t have the capacity to govern Nigeria. They have seen that this country will collapse under Buhari if allowed to continue. According to him, over 21 million Nigerians are either unemployed or underemployed in the country.